Enjoy the best inspirational, motivational, positive, funny and famous quotes by Ahmad ibn Rustah. Use words and picture quotations to push forward and inspire you keep going in life! He prayed on Fridays with the Muslims, on Saturdays with the Jews and on Sundays with the Christians. 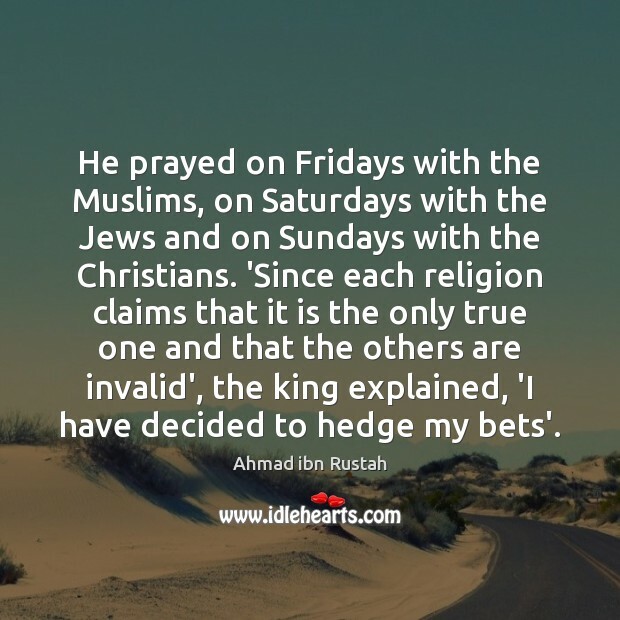 'Since each religion claims that it is the only true one and that the others are invalid', the king explained, 'I have decided to hedge my bets'.